Sometimes the strangest things are noticed while driving along. Pictures are only available for this because I had the camera with me at the time. As one might say, "You get what you can." 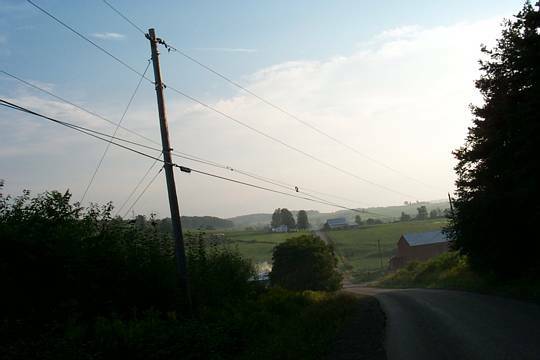 This is one where the Adelphia folks decided to have fiber strung along a rural road, possibly tying Randolph with Cattaraugus; this is one of the best routes to take. 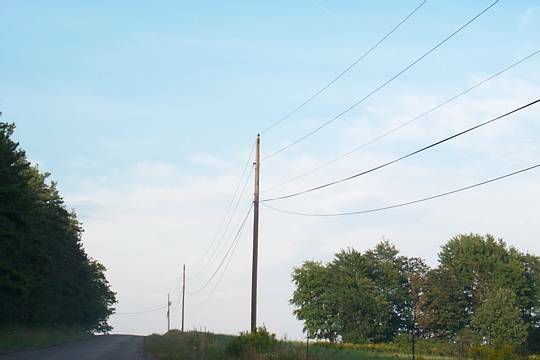 The biggest irony here is that the houses in the background which are in the hamlet of Axeville are all Amish and don't have electricity, much less the need for cable TV. Ahhh, the ironies in modern life. This fiber is waiting for the guys to get back from their weekend off. 2 It will eventually be strung onto the anchoring wire. 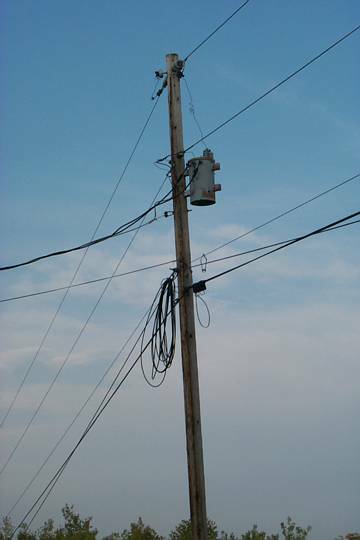 1 Windstream (formerly Alltel) is the incumbent local exchange carrier in these parts. Steuben Rural Electric Cooperative is the power company serving the area where I was taking pictures. 2 This is standard for union personnel. Why am I ragging on labor unions all of a sudden? This page generated from a master file on Sunday, 25 April 2010 by Curtis R. Anderson.